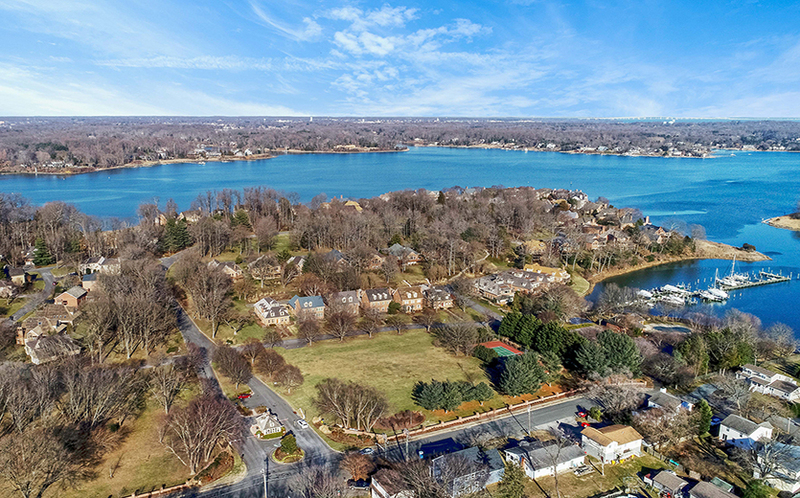 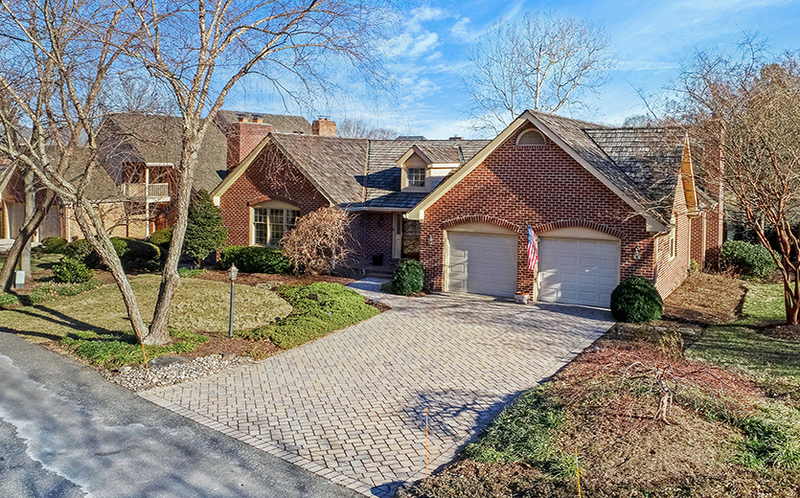 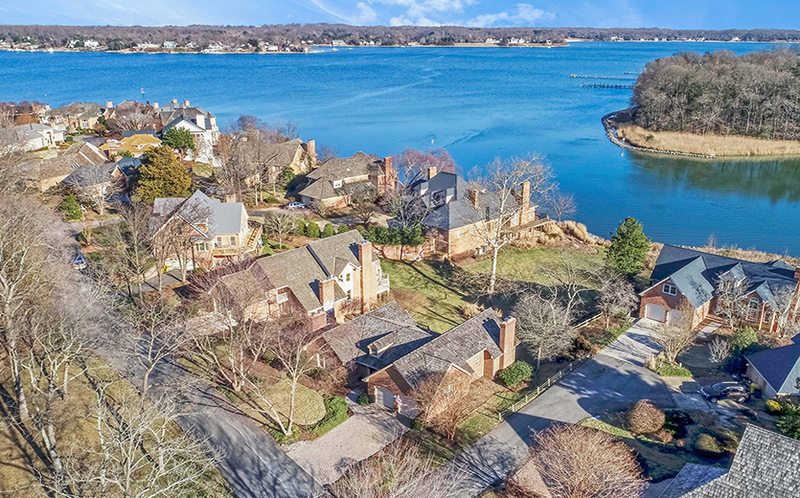 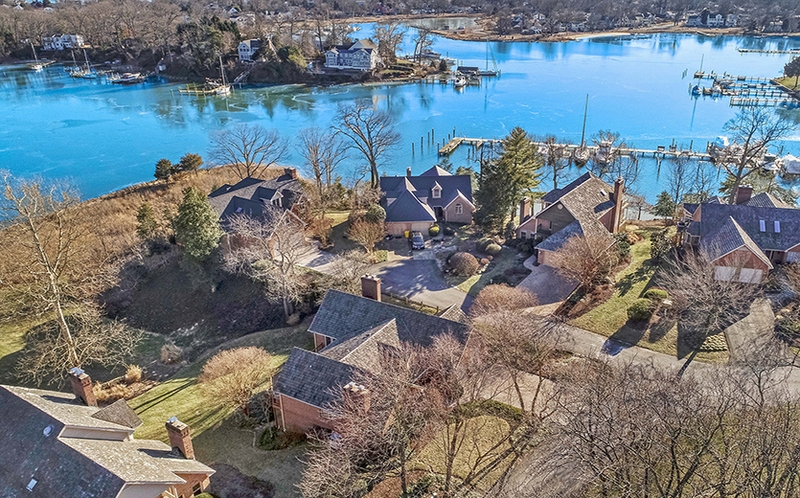 970 South River Landing Road is a beautifully updated 3700+ square foot three-bedroom home in the gated waterfront community of South River Landing. 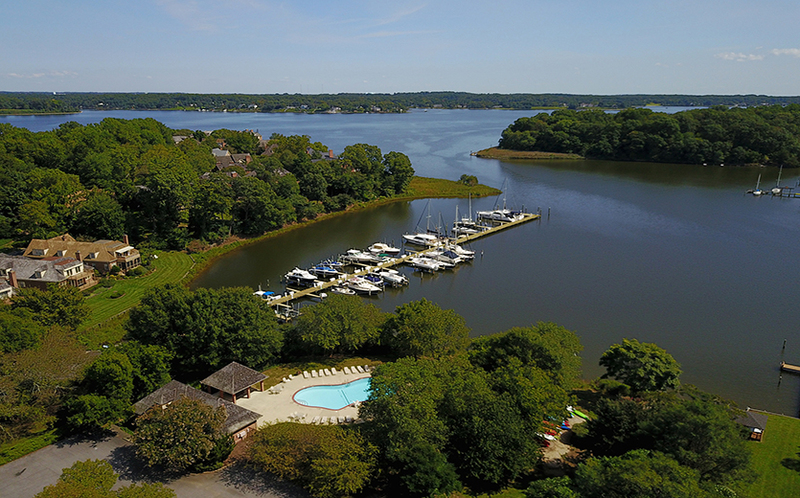 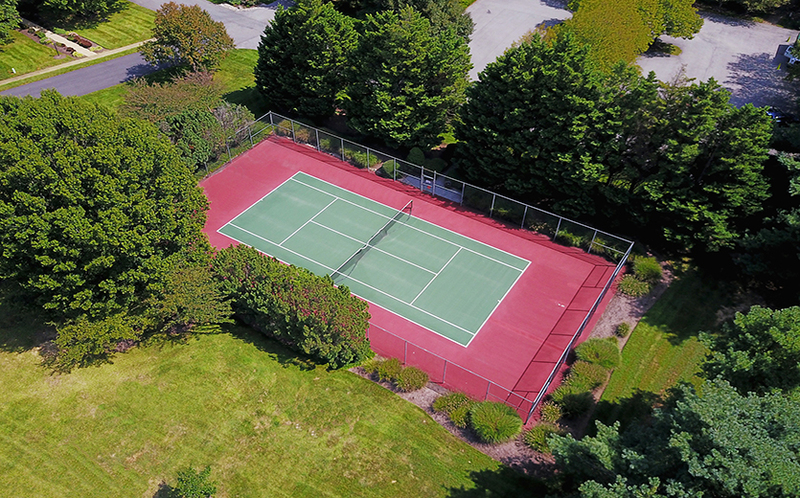 Nestled along the shores where the South River meets Almshouse Creek, South River Landing offers a maintenance-free country club lifestyle with its own marina (slip use for additional cost when available), pool, and tennis court. 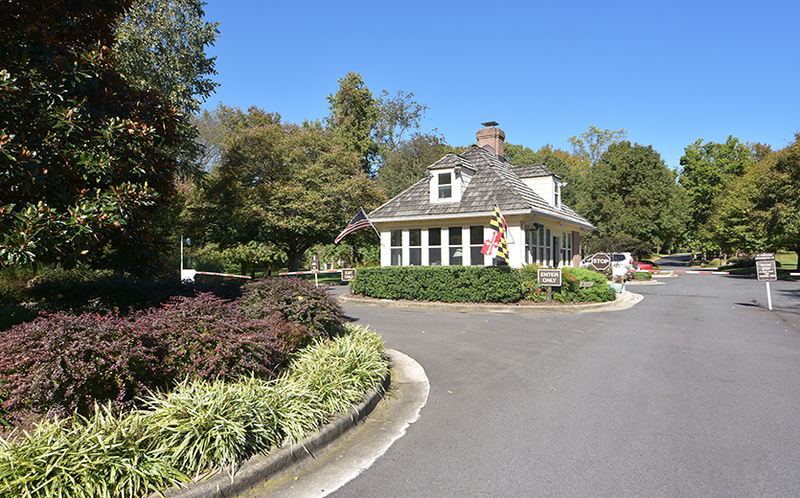 The community features deep water and easy access to the Chesapeake Bay with no bridges in the way. 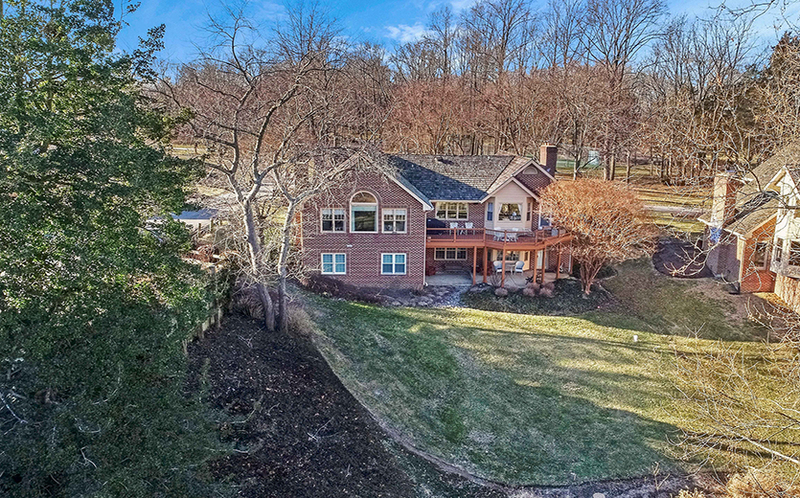 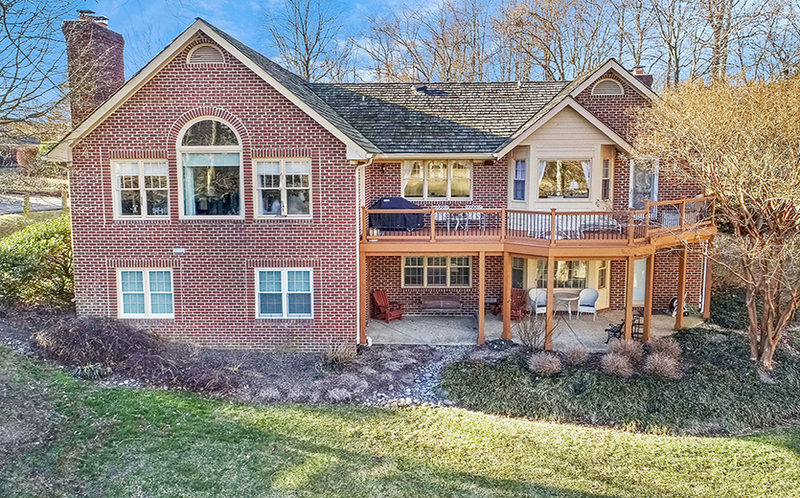 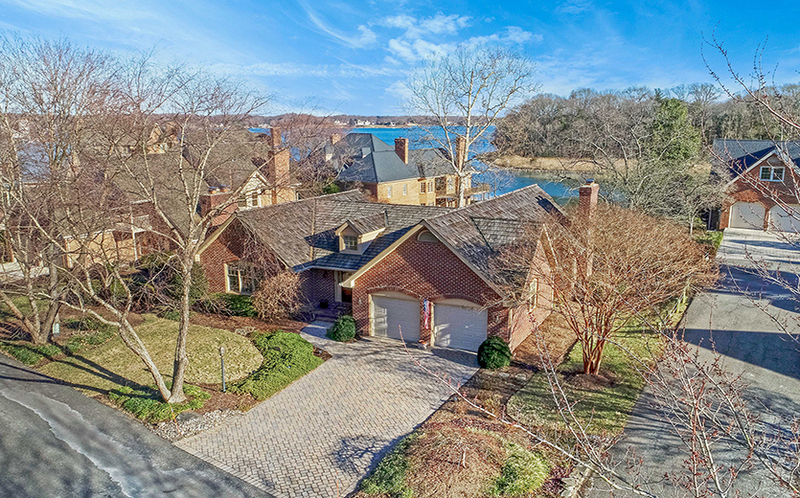 This all-brick home features a main level living configuration that optimizes the tranquil water views from nearly every room! 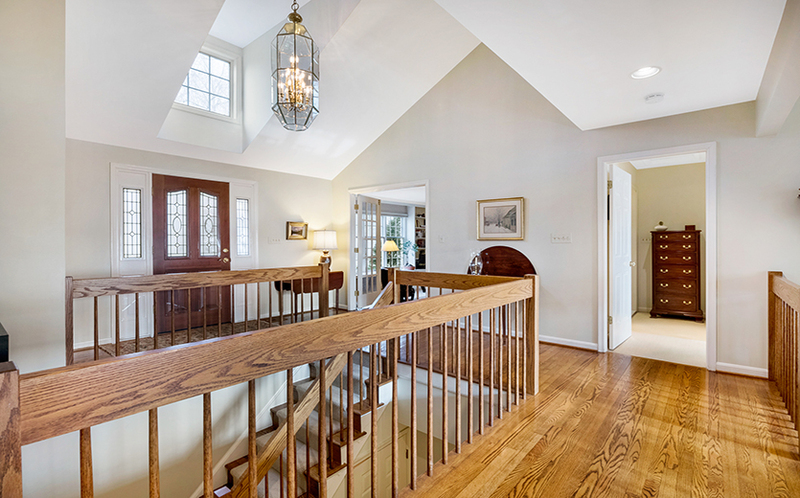 When you step inside, the gracious foyer welcomes you with gleaming hardwood floors, a vaulted ceiling and lots of natural light. 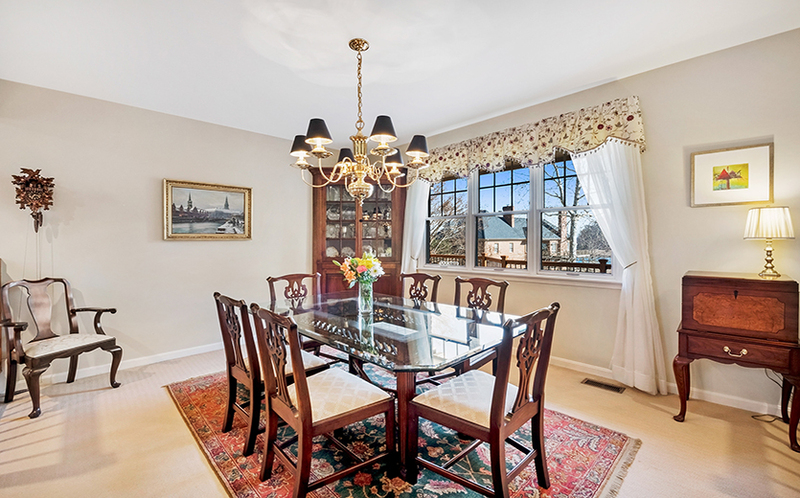 Straight through the foyer, the dining room has a picture window overlooking the water. 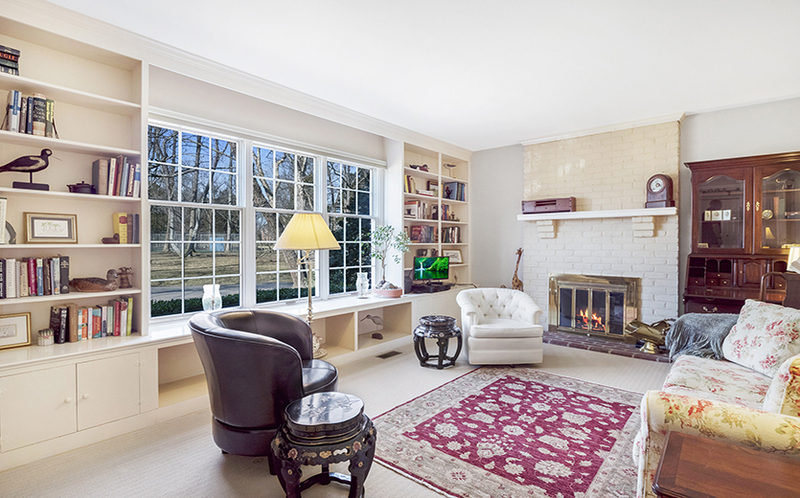 A library with built-in bookshelves and a gas fireplace is a cozy spot for curling up with a good book. 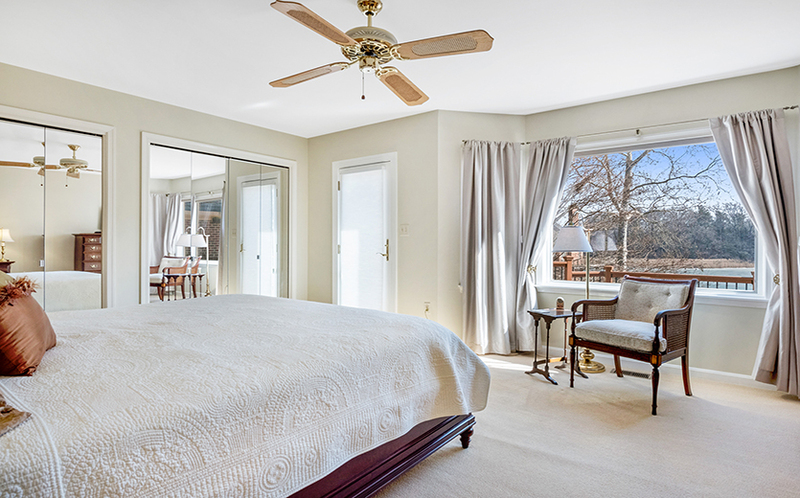 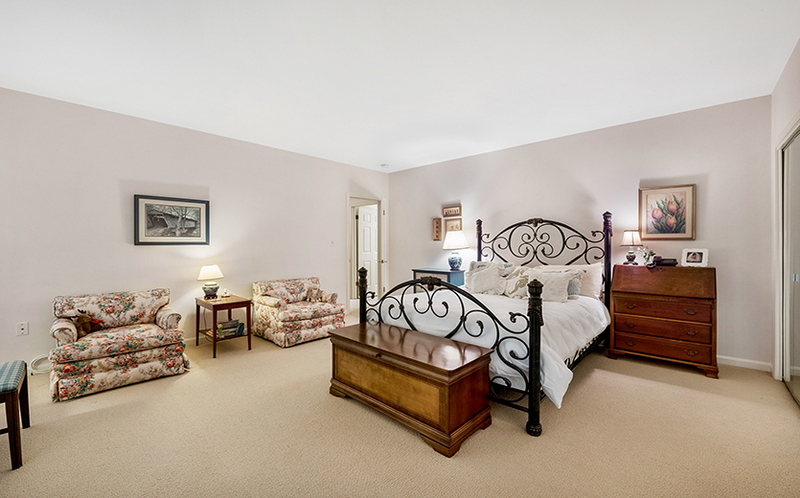 The main-level master suite has water views, access to the waterside deck, two large closets, and a recently updated bathroom. 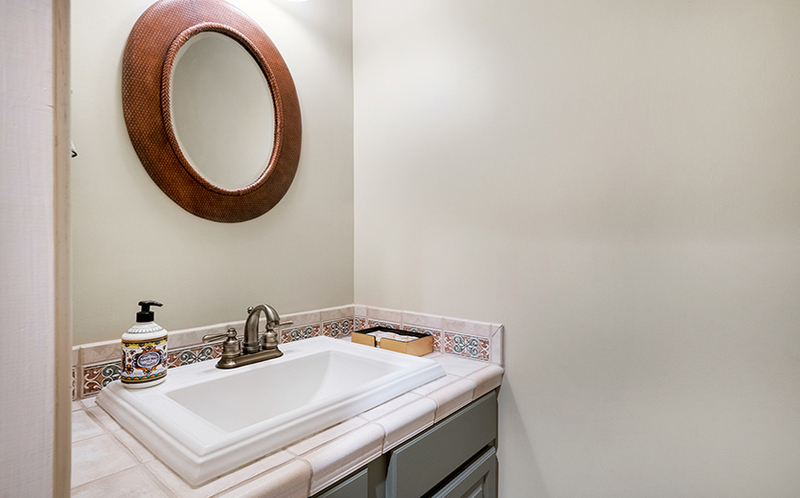 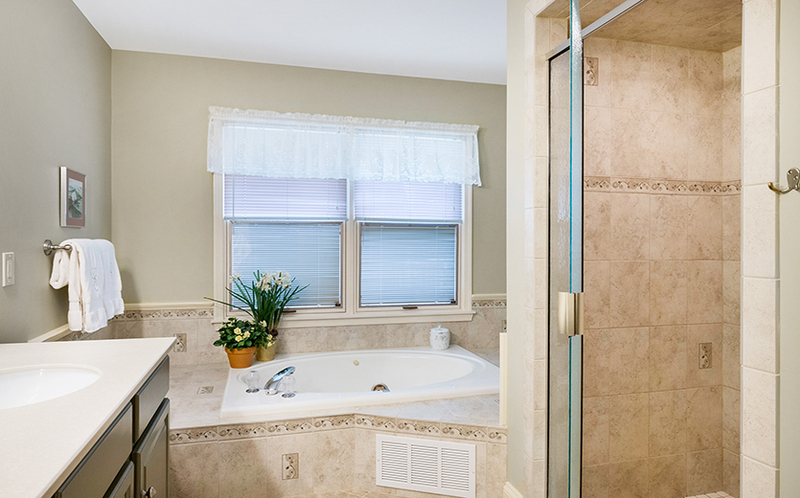 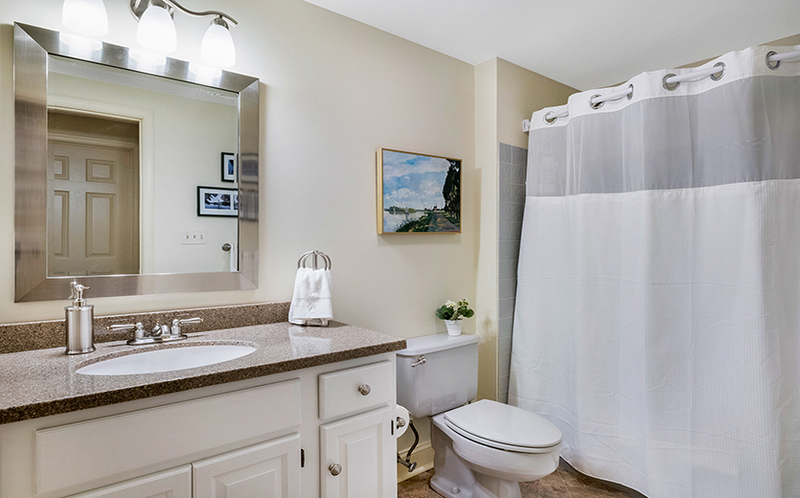 The master bath features with a double sink vanity, a jetted tub and a separate tiled shower. 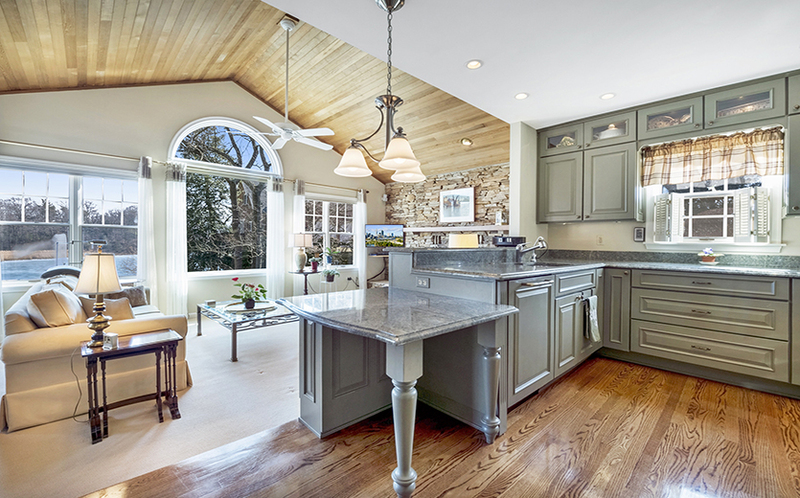 The heart of this home is the gourmet kitchen and great room. 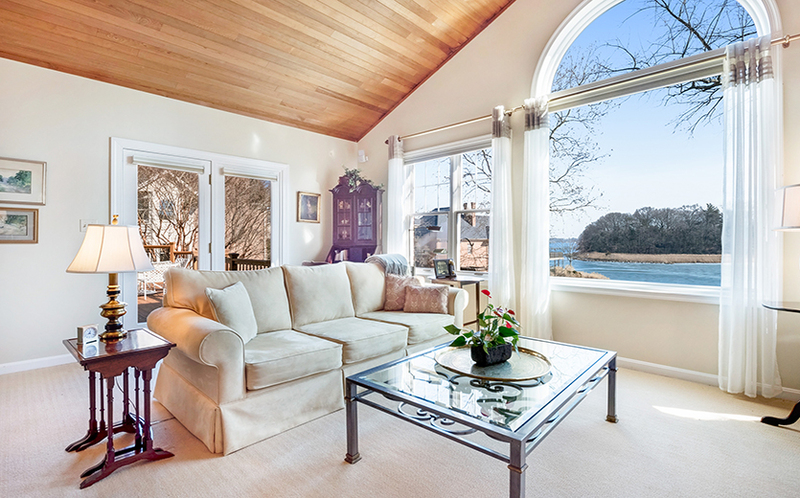 A wall of windows in the great room overlooks Historic London Town and Gardens directly across the water. 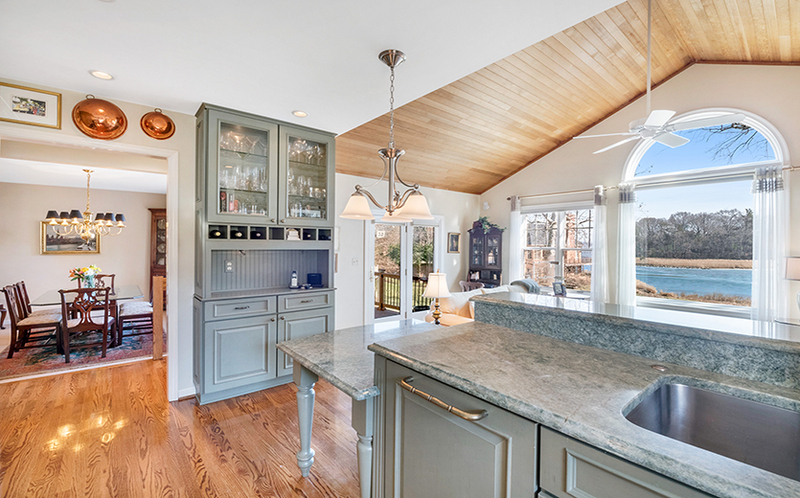 The kitchen, which has beautiful custom cabinetry, spectacular granite countertops, hardwood floors, stainless steel KitchenAid appliances, and an abundance of built-in storage. 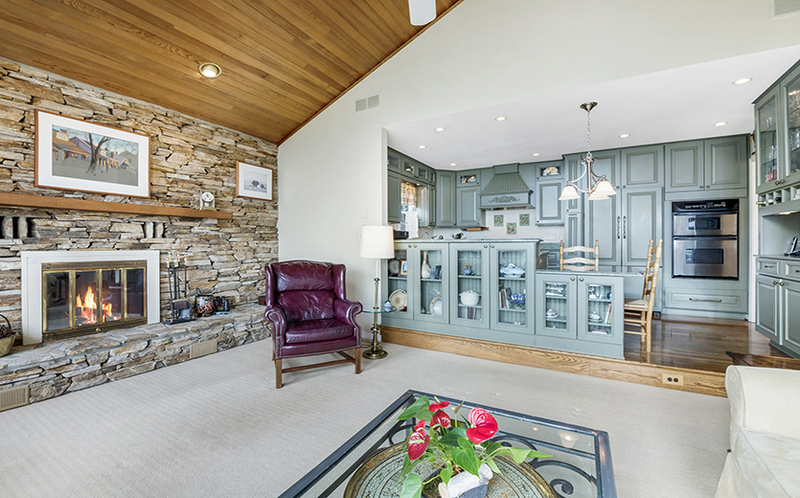 A beautiful wood-burning fireplace in the great room is accented by a wall of stacked stone and a custom wood mantle. 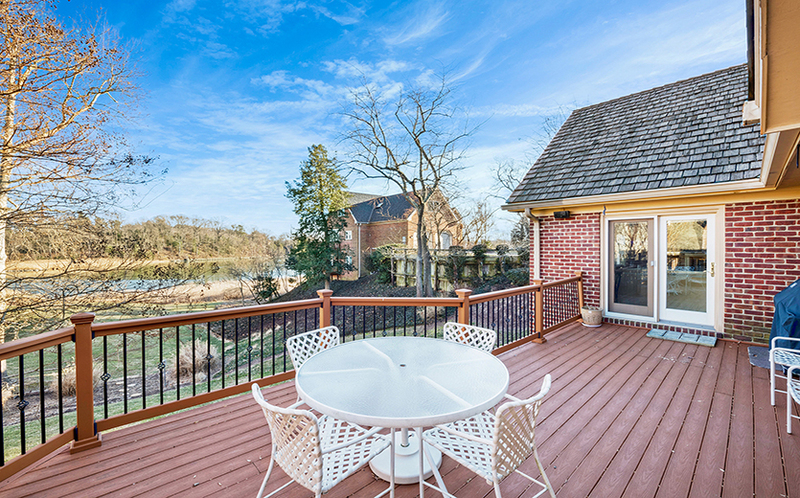 Step out onto the waterside deck from the great room for al fresco dining with a peaceful view. 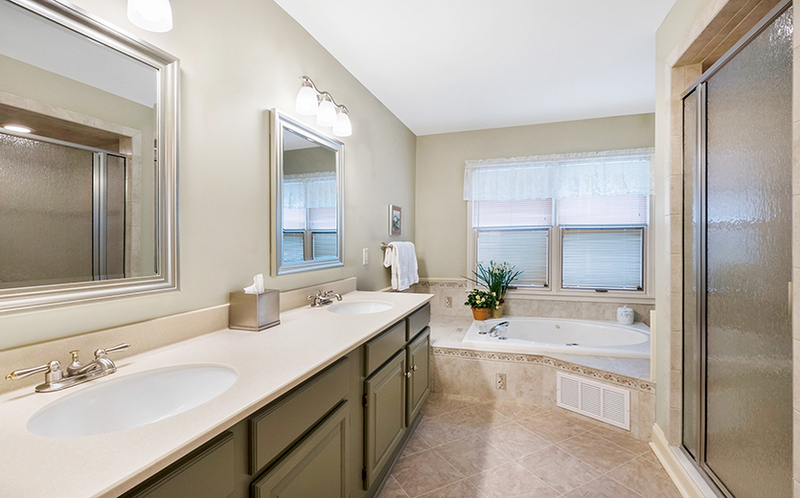 Also on this level are a powder room and a laundry room with extra storage and a deep wash tub. 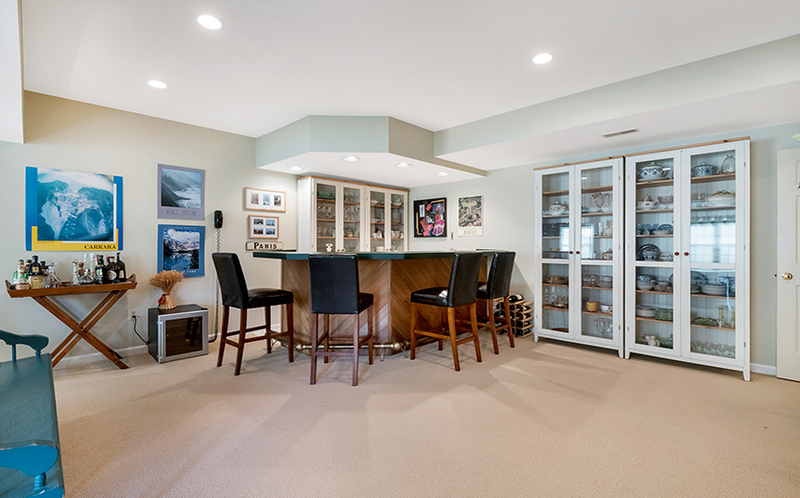 The walk-out lower level includes a spacious rec room that offers a fantastic spot to entertain, complete with a bar, under-counter fridge, and prep sink. 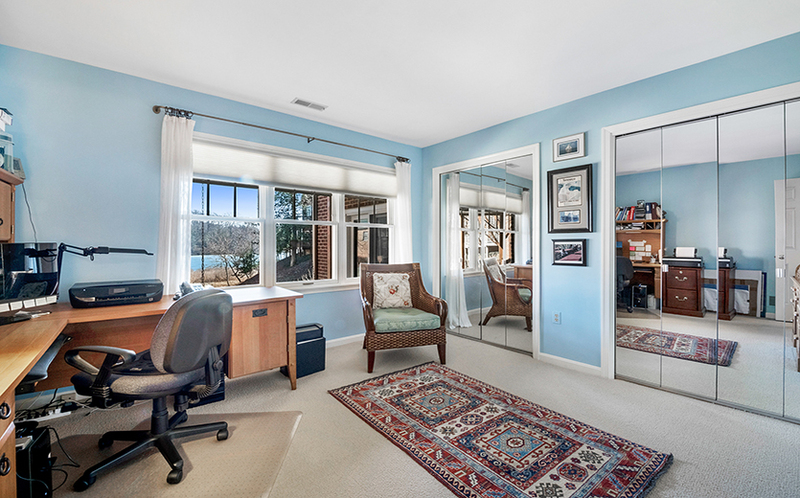 There are water views from this level as well, and a second wood-burning fireplace with a beautiful brick surround. 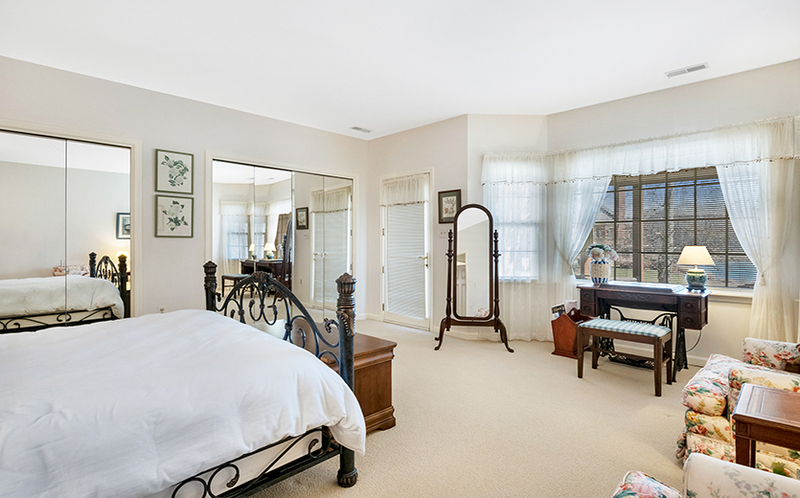 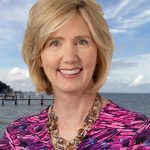 There are two additional bedrooms on this level, both with water views, that share an updated bathroom. 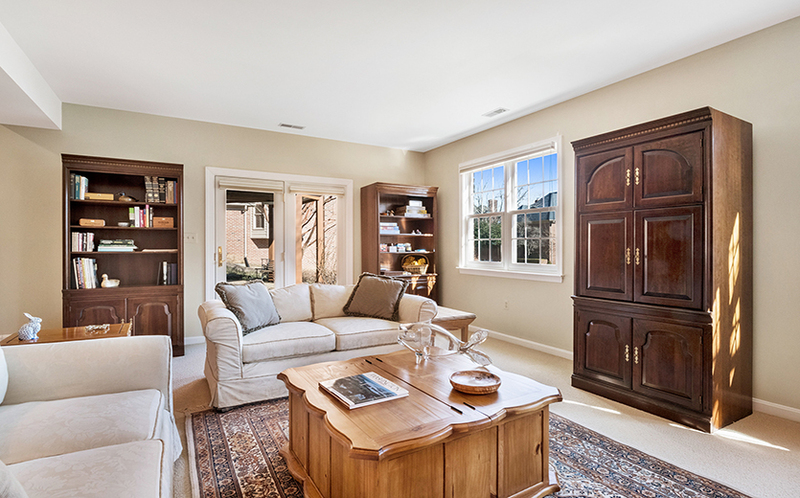 A large storage room also serves as a workshop. 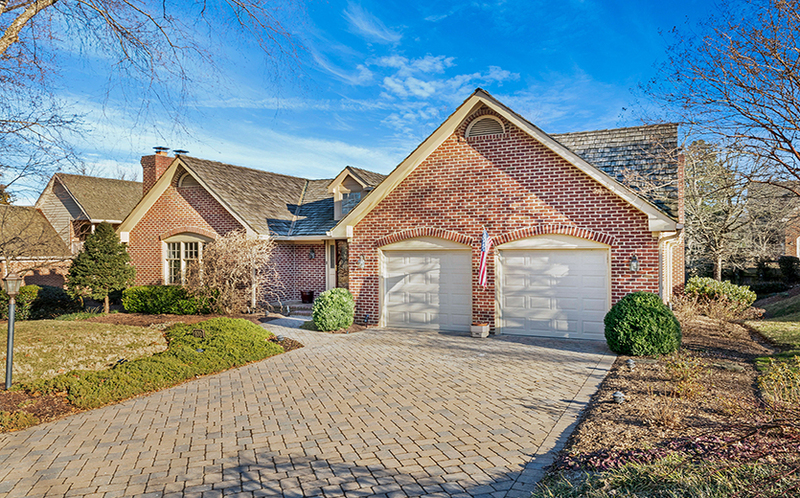 This is a fantastic location for a full-time residence, or enjoy the convenience and security of the lock-it-and-leave-it option if you travel. 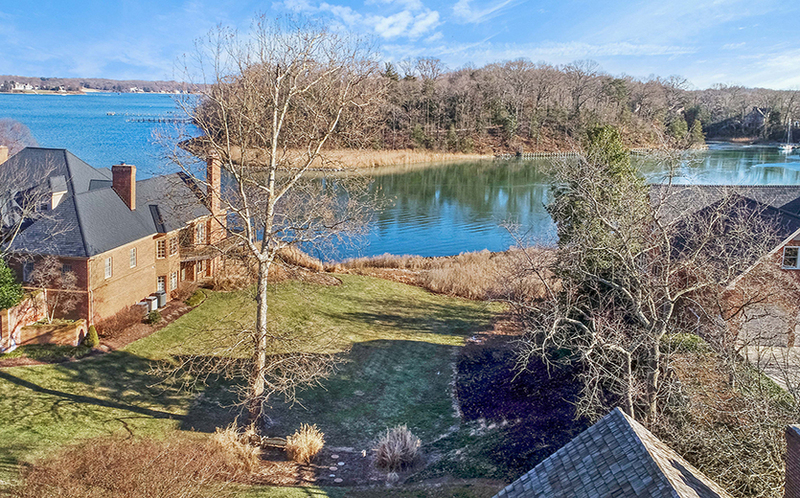 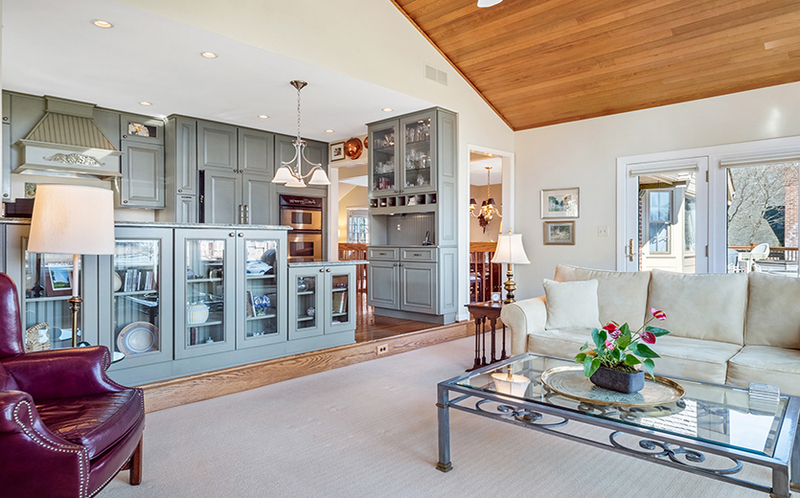 Call the Waterfront Experts at (410) 266-6880 to schedule a private showing!